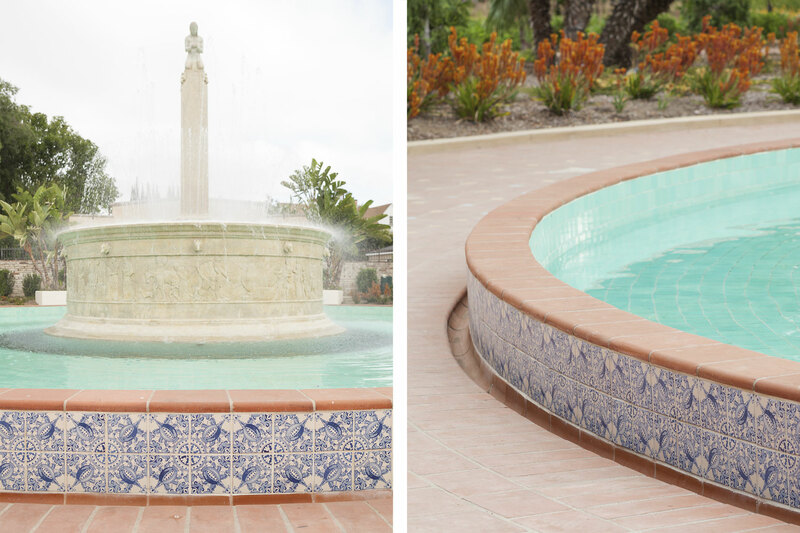 Erected in 1931, this iconic fountain sits at a prominent intersection of Santa Monica and Wilshire Boulevards in the city of Beverly Hills. 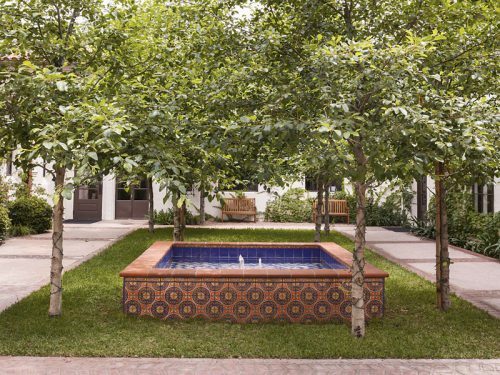 Known as the Electric Fountain for its changing pattern of colorful lights, this fountain was designed by architect Ralph Carlin Flewelling. 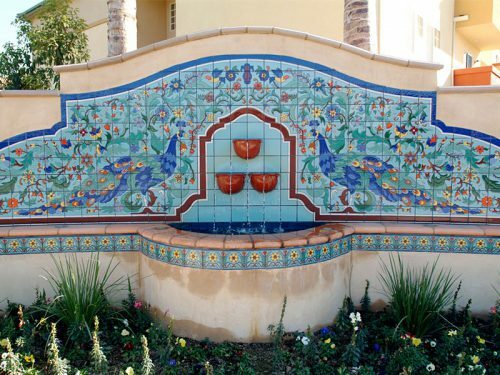 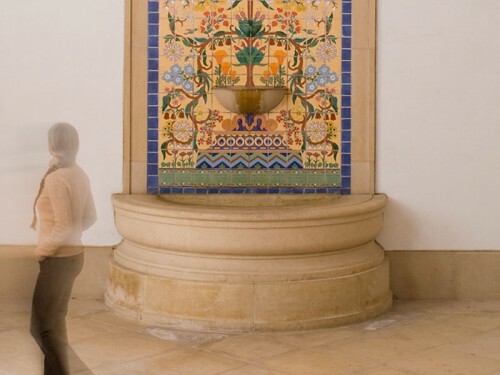 Native Tile was commissioned to create exact replicas to replace all of the blue and white patterned tiles adorning the outer wall as well as reproductions of the turquoise glazed tiles on the inside wall of the large circular fountain. 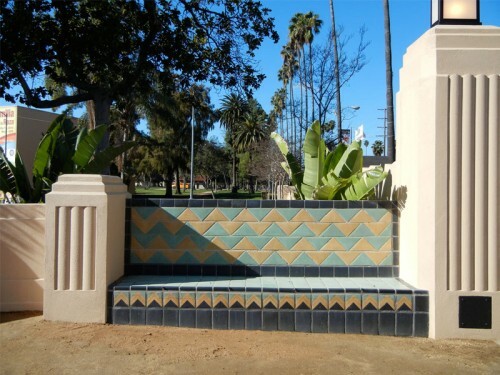 Working in collaboration with Silverlake Conservation and KC Restoration, Inc, the fountain and surrounding section of the Beverly Gardens Park was restored to its former glory.